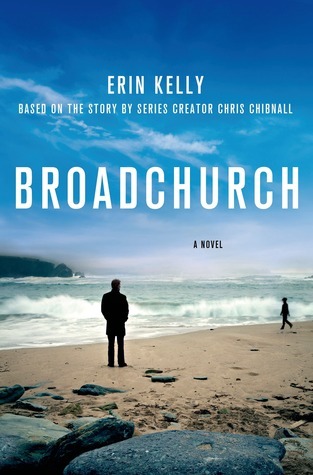 The creator of Broadchurch commissioned experienced mystery writer Erin Kelly to novelize the television show. To my surprise, I really liked it. In the sleepy British seaside town of Broadchurch, Detective Ellie Miller has just returned from vacation, only to learn that she’s been passed over for a promotion at work in favor of outsider Alec Hardy. He, escaping the spectacular failure of his last case, is having trouble finding his way into this tight-knit community wary of new faces. But professional rivalry aside, both detectives are about to receive some terrible news: 11-year-old Danny Latimer has been found murdered on the beach. For Ellie it's a personal blow; Danny was her older son’s best friend. She can’t believe anyone in Broadchurch would ever have harmed him. But Alec considers everyone, even Danny’s parents, suspect in his death. It’s a living nightmare for everyone involved…even before the press arrive and start stirring up the secrets every town member keeps hidden behind closed doors. I don't usually read screen-to-book adaptations. At least not since devouring the book adaptation of My Girl fifty times when I was about 11 and had a crush on Macaulay Culkin. I loved the British television series Broadchurch - now remade in the US as Gracepoint. I came to it because I will watch anything with David Tennant in it, but I stayed for the riveting story. Despite knowing who-dunnit, I have gone back and watched the series twice and will probably do it again. It is layered and beautiful and the acting is superb. I came to this book adaptation with understandable skepticism. Could it capture the intangible "it" factor of the television show? To my surprise, it did. In fact, it made me love the television series even more. I rewatched the show as I was reading the book, because I just had to "see" while I read. First question: Can you read this without watching the show? I'd say no. Having the visual and auditory memories of the show in my head as I read it clarified a lot of the emotions of the prose, which felt a little flat on its own. On the other hand, I've read numerous reviews of people who read the book without watching the show and loved it. The best part of this book is that it added things to the TV show. Not major scenes, although there are a few that weren't in the TV show. It allowed me to understand the characters' thoughts better. Most notably, a few of the killer's motivations that weren't spelled out in the show. The book follows the show very closely, but a few things are said at different times or happen in different order. It's not so much that the book has more time to explore things - in fact, I thought the book was a little rushed as opposed to the show. More of the differences in how things work on screen versus the page. If you loved Broadchurch, you must read the novelized version. The book makes the show so much better and the show makes the book so much better. On its own, I'd say it's an okay book, but with the show, it becomes something special. I have never watched Broadchurch but I have seen a few episodes of Gracepoint because it is on Hulu. I didn't realize it was a remake but now I might look into the show. Moreover advertising adverts perform much better with constructing brand name reputation as compared to they will carry out with creating simply click throughs, and also working actually successful promotions demand a large bank-account. The theory is always to not merely industry in your determined targeted buyer, yet traffic redirect industry for the other folks because holder's myspace and facebook. The theory will be in which promoters must relate buyers that are previously related and also discuss beliefs and also thinking, a thought referred to as homophily. Bing and lots of tiny start-ups are usually needs to demonstrate out there this kind of principle. Paid out net advertising adverts expense funds nevertheless they at some point pay out a whole lot when picked effectively. Totally free advertising deals usually are not mobile redirect rewarding as a result of clustering concerns and also could be misplaced between a great many other net banners. Some great benefits of advertising and marketing by means of banners are usually multifold. Advertising adverts offer primary targeted traffic aimed at your web since merely a simply click offers extra details. They may be affordable and also successful method of marketing and advertising products of your business. Organizations acquire redirect domain reputation and also industry revealing will be increased. Advertising adverts can assist you educate the give attention to marketing and advertising purchase simply by enabling you to pick sites. I was on a long flight and saw this show on the entertainment, watched the three episodes it had when I saw David Tennant was in it ;) such a slow tense build up in this tranquil little town. Never heard of the book or tv show. Thanks for sharing. I'm only just watching David Tennant on Doctor Who now! I will continue with Broadchurch and Gracepoint after because of course I love him too. Good to hear they did a good job with the book adaptation!